LionsDeal > Catering & Buffet Supplies > Display Risers and Stands >< Display Risers > G.E.T. Enterprises ML-282-SLATE Stone-Mel Melamine Display 14" x 13"
G.E.T. 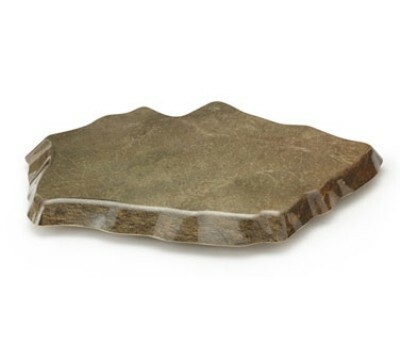 Enterprises ML-282-SLATE Stone-Mel Melamine Display 14" x 13"